Reader Request: The Basics of #CraftBeer Cellaring. All excellent questions Joel. Some of my knowledge of the subject I have learned over the years, and some of that the hard way. Let me preface my response with this, I am not as egotistical to proclaim I know everything about beer or to consider myself a “beer expert”. Those type of claims reek of “beer douchery“. I consider myself simply a home brewer with dreams of going pro, a beer lover and connoisseur. What I do know, I learned through reading, experience and from picking the minds of people who have forgotten more about beer than I’ll ever know. To get to the questions at hand. 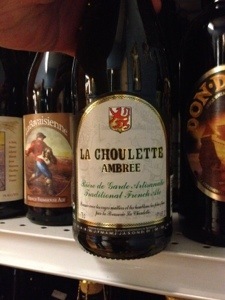 Yes some beers are meant to be drank fresh, and certain beers can be stored for years. For example, that super hoppy IPA? Those hops are going to break down and fade with time. This doesn’t necessarily mean it’s going to be bad. As the hops fade, the more malty characteristics come to the fore front. It can be really nice tasting. However, being an IPA, you must keep in mind the brewer’s intent and flavors they were shooting for when they brewed it. How a beer is stored has a major impact on the flavor. 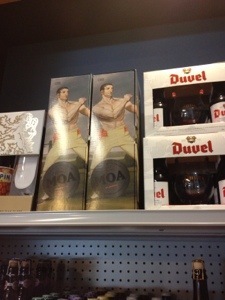 Beers should be stored upright, and never vertical like on a wine rack. Also the ideally, any beer you store should be kept around 40 to 50 degrees. I try to keep my beers that I am “cellaring” in a spare refrigerator. I didn’t always have this option, and I know a lot of people don’t. Before I had the fridge space, I’d use extra coolers or large tupperware like storage containers and place them on or as close to an air conditioner vent or window unit as possible. More important the temperature is keeping your beer out of the light. Light struck beer takes on an unpleasant “skunky” quality. I am so paranoid about this now that I don’t purchase beer in clear or green bottles. I don’t even purchase clear growlers. These type of containers let in ultraviolet rays that react with and break down isohumulones, a molecule derived from the hops. The resulting molecule, is very similar chemically and in odour to the chemicals that are part of skunk’s natural defence. Amber or brown glass offer some protection, but if they are sitting somewhere (say for example a shelf that sunlight hits it for a few hours every day), they will go bad. Some beer styles tend to age better. A rule of thumb is the darker and more alcoholic a beer, the better it will store. It also matters if a beer is bottle conditioned. Bottle conditioning simply means that a tiny amount of priming sugar or unfermented beer is added at bottling to allow the remaining yeast cells to eat the sugars and create carbonation. Most mass produced beer in this country are not bottle condition, with Sierra Nevada being one exception. It’s easy enough to tell if your beer is bottle conditioned or not. Simply take the bottle, give it a swirl and look at the bottom of it. Does you see sediment floating around? If so chances are that it’s bottle conditioned. The reason bottle conditioned beers tend to age better is because the yeast protect against oxidation and contributes complex flavors as it breaks down slowly in the bottle. The alcohol content will also slightly increase. Now just because a beer is bottle conditioned doesn’t mean it will last forever. It is heavily dependent on style. A lighter pilsner or wheat beer is likely to pick up off flavors that yeast can contribute when they die. If a bottle or can of beer says drink fresh, do what it says. I recently had a stash of Heady Topper brought back for me from Vermont. As much as I love this beer and wish I can always have it around, I know it’s meant to be drank within days or a couple of weeks of canning, max. I imagine it’s the same with most hop heavy beer. On the other hand, I also tried a can of 1982 World’s Fair Beer at the last Knox Beer Crew meeting. I was told that this beer was gross when it first came out. I was afraid, but cracked it open anyway. It wasn’t too bad. It was carbonated, with major sediment that I can only imagine what it was. It didn’t make me sick, and I can say I had the experience of drinking a 30 year old beer. If you are looking to collect and store, go for beers that say that say they age well on the label. 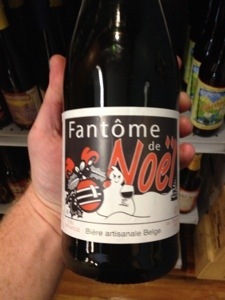 Some beer styles brewed or conditioned with wild yeast strains such as Brettanomyces are meant to be aged. Beers below 7% alcohol by volume don’t age as well, so look for high gravity beer. Baltic Porters, Russian Imperial Stouts, “Farmhouse style” ales, Flanders Red, Strong belgium ales and Barley Wines. This advice is just meant as a guideline and there are always exceptions. 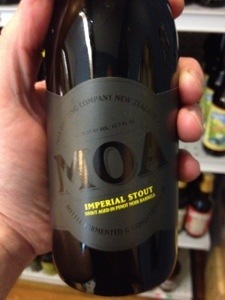 When I brewed last weekend, I broke out a bottle of homebrewed oaked imperial stout that I had been storing since 2010. It was bottle conditioned, and a style that should’ve lasted long. It was oxidized, and had that cardboard like taste. It could have been that I allowed too much oxygen in during the bottling phase, it could be the yeast strain I used, it could be that it was improperly stored (at room temp the 1st year of it’s life), or it could be other unknown factors. I also had my last bottle of Sweetwater’s Dank Tank 420 IPA that was bottled back in January. All assumptions were that this over the top hop bomb would have gone bad. I even had a local distributor rep tell me months ago that the beer would be undrinkable. It was really good. The hop aromas and flavors had faded slightly, but it was still enjoyable to drink. Of course, it had been stored in my fridge the whole time, and I am positive that is what made the difference. I hope this helps answer some questions about storing beers or starting a vintage beer collection. I would advise searching google for cellaring beer, aging beer, and beer storage. Some breweries will have information about aging theirs beers on their websites. Just remember the most important thing about beer storage and drinking aged beer, regardless of what anyone else says, is whether you enjoy it or not. If you are reading this any day but Thursday August 16th, 2012, you can ignore this. Tonight at Suttree’s High Gravity Tavern I will be doing another infusion night. Starting at 7pm, we will be pouring Bluegrass Brewing Company’s Bourbon Barrel Stout infused with Whole Vanilla Beans, Cocao nibs and toasted oak chips. This is a great beer that will be made even greater with this infusion. I hope to see you there. 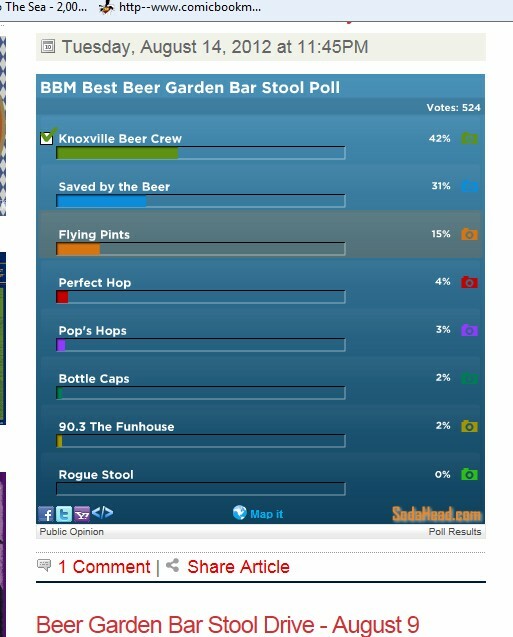 Also I am asking my readers to PLEASE vote for the Knox Beer Crew bar stool at http://BeardenBeerMarket.com . Voting ends at midnight, and the competition is close. Any beer we win will be shared with the crew at the next tasting. Please note that the next tasting is Saturday August 25th at Suttree’s starting at 2pm. New members are welcome, but please bring beer (the rarer the better) to share. This is what the poll looks like after you vote. Please help us stay ahead. This entry was posted on Thursday, August 16th, 2012 at 14:48 and is filed under #knoxbeer, Beer, beer aging, beer cellaring, Beer Recipe, beer storage, Casual Pint, Craft Beer, drinking, home brew, home brewing, Infusion, Knox Beer Crew, Knoxville Beer, Knoxville beer bars, Knoxville beer blog, Ratchet, reader request, suttree's high gravity, The Casual Pint, Uncategorized. You can follow any responses to this entry through the RSS 2.0 feed. You can leave a response, or trackback from your own site.